Flat terrain and poor drainage have led to the formation of a bog in the lowlands of southern New Brunswick. The bog is interspersed with a complex network of forested islands, covered mainly with black spruce, jack pine, eastern cedar, and other coniferous trees that can survive the acidic soil. 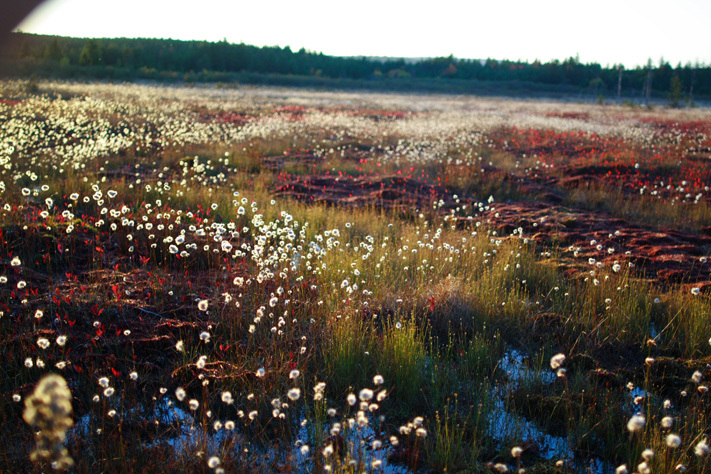 Though the bog is extremely wet, the surrounding lowlands feature long, dry summers that often spark forest fires.